1. The premise of Crossing the Bridge is interesting – a bunch of guys re-enact the Jacobite Rebellion? Why? Where did that idea come from? There is a group that re-enacts the Jacobite Rebellion. This happens in Derby, the furthest south that Bonnie Prince Charlie reached in 1745. Everyone thinks it just happened in Scotland, but they got all the way down to the middle of England before turning back. Click the cover image to purchase a copy of Crossing the Bridge. Anyway, I went along one year and took part – really great fun. It was while marching along that I wondered what would happen if – and this is the writer’s brain spotting the ‘What if’, of course – this pretend rebellion just kept going. We were being escorted by the police, who were there keeping the traffic at bay and so on, it was a family day out, but we were carrying swords and muskets, and yelling anti-government slogans. So, I thought, if we’d kept going at what point would the police stop escorting the march and start trying to stop it? 2. Why does Guy Wilson live in the past? Does he ever arrive in the present? He’s not literally living in the past, it is metaphorical, but… well, that’s the story, isn’t it? If you start a rebellion, however much by accident, then there are responsibilities that come with that. 3. What happens to him throughout Crossing the Bridge? What does he have to contend with? I do hate this question, because I don’t want to give anything away. Spoiler alert! I just want to say, read the book and you’ll find out. There is romance, political intrigue and it’s a thriller. He and friends also visit a lot of pubs, which probably says a lot about the author. 4. Are your other novels like this one? If so, how so? If not, why not? I think the game is to make every novel unique. This is my only novel set here and now so far. My SF is near-future and the steampunk is set over a hundred years ago. It’s also only my second novel told in the first person. It’s quite chatty, the main point-of-view character, Guy Wilson, addresses the reader. 5. What do you find inspires your curiosity and your desire to write? As I said, there’s that writer’s radar to spot the ‘what if’. So, it could be anything. With Crossing the Bridge, I can remember the moment, but most times the germ of an idea just percolates in the subconscious to pop up unexpectedly much later. I’ve no idea where it came from, it’s just there. There’s a question everyone asks writers: ‘where do you get your ideas from?’ I think it’s always answered badly, because it’s the wrong way round. It ought to be: ‘why did this idea choose this writer?’ I write because this story demands to be told. It’s almost as if I don’t have a choice in the matter. 6. Tell us about your history of writing for the theater? What did you accomplish? I’ve had 18 plays performed on stage ranging from small fringe productions with a cast of three to massive performances with casts and crews of over 50, everything from dark, serious stuff to romcoms to pantomimes. It’s how I learnt the writing craft. With a book, you’re removed from your readers. You rarely watch someone reading your book and see their face frown or smile… what!? What? Which bit was that? Was a thoughtful expression appropriate? Did they smile at a joke or a clever phrase or because their mind has wandered to something else? You know. Like. What? It’s a nightmare for a writer. I remember sitting in the bar at a convention and spotting someone opposite reading my book. I became fascinated in a quite disturbed way. And did this bloke even know I was there? I learnt nothing from the experience, because I don’t know what he was thinking. He kept on reading, so I guess he liked it. Subscribe to receive more author interviews like this one. But with theatre, there’s no hiding from the audience reaction. You sit in the dark and watch them, and they laugh or gasp. Hopefully at the joke or the drama rather than the other way around. And it’s a genuine reaction. A joke gets a laugh or doesn’t get a laugh, it’s pass or fail. So as a playwright, you learn what works and what doesn’t. 7. Do you prefer narrative fiction or playwriting? Why? I guess I just moved on. There’s more control in narrative fiction: you are the writer, director and actor. Also, my ambition grew in the type and scope of the stories. Theatre is great, don’t get me wrong, but now I can have casts of thousands, massive locations, huge sets and special effects that you just can’t get in the theatre. Actually, you can: if you can write it, you can stage it. You can say more with 80,000 words than you can with 18,000. 8. Tell us about your stint as chair”being” of the Birmingham University Science Fiction and Fantasy Society. How did you end up there? What did you have to do? It does have a special place in my memory. I had no idea what I wanted to do or be, I even changed course at University and ended up in computer science research. So, I was there for quite a long time. I joined the SF society and became one of the organisers. ‘Chairbeing’ was their name for the person in charge, a word that wasn’t sexist or species-ist. My main contribution was to construct a huge portable library on casters that was still in use years and years later. It probably still is, unless it’s been replaced by a single Kindle. 9. What is New Street Authors? 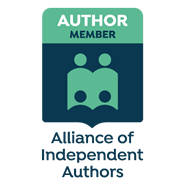 We’re a collective of independent publishers, who share knowledge and skills. If you go indie, you have to do everything that traditional publishing does from editing, cover design, marketing, making the tea, etc, etc. You can hire people, sure, but you are their manager. I’ve co-written a book, Punk Publishing, about the process with one of my fellow New Street Authors. We help each other. Everyone is good at some things and… er, less good at others. So, I’ll format your ebook, if you check my blurb. And it’s nice to meet other writers occasional. It makes a change from being locked in your garret typing. It’s one of those clever phrases that people use, isn’t it? Much like ‘one man’s terrorist is another man’s freedom fighter’. ‘Fraid not, the Geneva Convention has a pretty good definition. Clearly you can take a true story and add zombies. That makes it stranger, surely? However, fiction has to pass a reality check, it has to be believable. Truth doesn’t need to do that, it has that trump card: it really happened. With Crossing the Bridge, I have a corrupt politician manipulating things behind the scenes. However, I was writing this while real politicians were just openly lying in a way that just wouldn’t work in fiction. The nonsense coming out on both sides of the Atlantic at the moment just beggars belief, but it’s true. So you have to believe it. Write it down, no-one would believe it. Odd that we write fiction to reveal deeper truths and the real world seems to be all about inventing fictions in order to lie. 11. What are you writing now? I’ve just finished two new books, so I’ve been editing other people’s books at the moment. Once my own editors have reported back, I’ll start the rewriting process. They are very different books. One’s another Derring-Do Club adventure, Death on the Suez, part of my steampunk series, and the other is a sequel to Hashtag. The latter is interesting, because I thought Hashtag was a stand-alone novel that explored the idea completely. But the idea hadn’t finished with me, just yet. The next one is Atcode and that series will be three novels soon enough. Then I’m looking forward to that delightful moment when I’ve nothing to write – nothing at all – when I could do anything, when the possibilities open up before that idea festering away in my subconscious demands to be written and I’m back at the grindstone. Questions for David? Leave them in the comments section below. As a reminder, Crossing the Bridge is available on Amazon. Sign up to receive correspondence from David Wake on his website.